← Investec Women’s Premier League Preview Week 6. 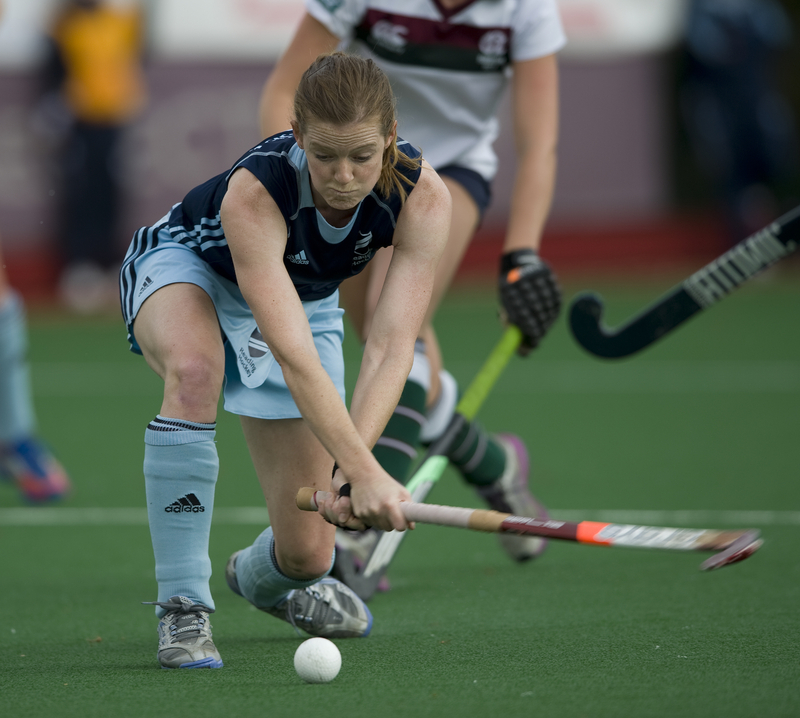 The Top of the D meets: Helen Richardson-Walsh. She has almost 250 international caps. She has competed in three Olympic Games. She has played in 21 international tournaments and won 12 international medals. 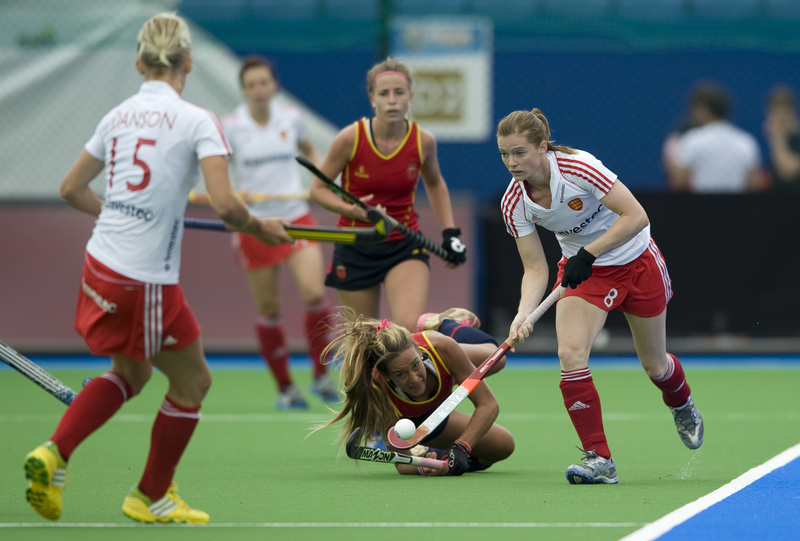 It is fair to say Helen Richardson-Walsh’s international career has been quite distinguished. That’s without including the personal accolades: Shortlisted for FIH World Player of the Year (2010) and named an FIH All Star three times (2009, ’10 and ’11,) simply put, it is an impressive CV by anyone’s standards. The Top of the D: You’ve just come back from a long-term injury; just tell us what was wrong and a little about your recovery. 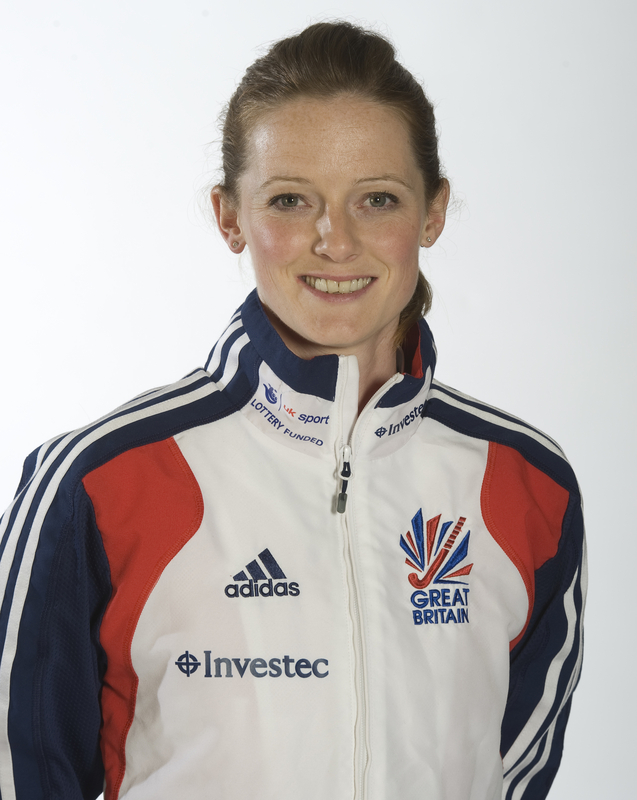 Helen Richardson-Walsh: I’ve had back problems from as far back as 2006 when one of my discs protruded. Ever since then, on and off I’ve had some issues with it. I’d tried strengthening my core to deal with it but it didn’t really fix the problem. I got to a point where quite recently I had really bad pain down my leg. It was excruciating and I couldn’t walk. I had a scan and found that the disc that had protruded was now ruptured, so pieces of it were floating around my spinal cord and pressing on the nerves, which was what caused the pain. Two days later I went in for surgery to remove the fragments and to have what’s called a spacer put in in place of my disc to try and keep the vertebrae from rubbing together. That fixed the problem but then it was a case of starting the rehab. I had to strengthen my back muscles and improve my core strength in order to be fit again. It was at the end of February I had the surgery and I was back in time for the Europeans in the summer. I was pleased to be selected but I didn’t feel my form was where I wanted it to be in the competition as I’d missed so much hockey. TTOTD: So were the Euros quite a hard tournament for you personally? HR-W: It was quite frustrating, yes. Whenever you play, not just for your country, at any level, you want to play to the best of your ability. When you’re not able to do that it is frustrating. It was a bit of a mental challenge to try not to put too much expectation on myself and to just go out and play the best I could. I felt like I got better through the tournament, I got a bit of match fitness so when it got to the semis and the finals I was somewhere close to where I wanted to be. TTOTD: How hard was it to go from training and playing almost every day to rehab, trying to be patient and allowing your body to heal? HR-W: That’s that hardest part. Rehab exercises are so boring but you can’t skip them. Doing them and then watching the team training on the pitch when all you want to do is join in is so difficult. I was hoping to get back for World League 3 [in London] and I didn’t quite make it. I was doubly disappointed to miss a home tournament. TTOTD: What was it that got you through it? HR-W: Unfortunately I’ve already experienced another bad injury; I was out with an ankle problem for two years. I tried to use the way I came back from that to get through this. Obviously your teammates are really supportive but there’s really nothing anyone can do to help you. You need to try and stay positive but when you realise you’re going to miss tournaments as well as all that time with the squad it’s really hard to stay positive. TTOTD: How are you feeling now, are you close to being back to your best? HR-W: I’m getting there. We had our first three week block of training with the central squad and I feel like I’m getting better on the ball again. The thing I lost most of was my speed. That’ll be the thing that takes the longest to come back but I do feel like I’m getting sharper in training, my movements are getting there and I’m probably at about 80% right now. TTOTD: You mentioned the Central Programme. 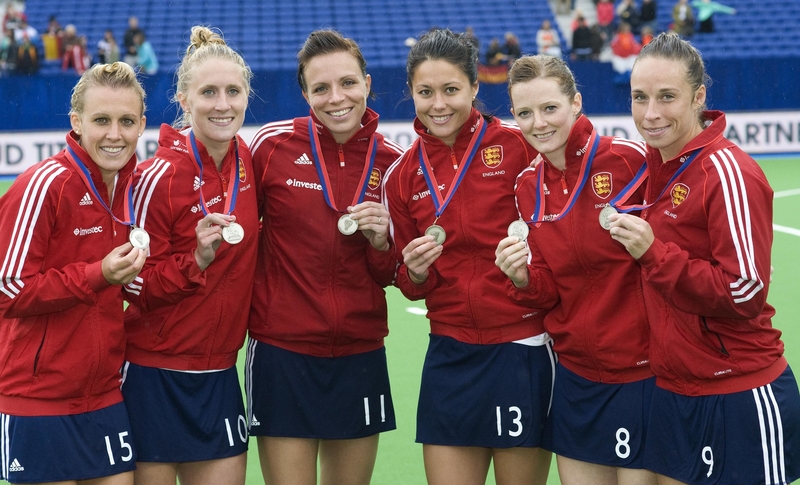 You’ve been in international hockey for a while now, how does this current squad compare to others you’ve played in? HR-W: I rate this group very highly. There is a lot of potential. One of the biggest things for us this year is we’ve beaten Argentina and Holland in our first year together as a group. I’d never done that in a proper tournament over the course of my 15 year career. Mentally we’re really strong: We’re a team who believes we can go and beat the best. I think that’s a huge step forward and a great foundation for us to build on. Everyone’s really determined to learn and there are some really good young players coming through who will become really top players. I think hockey in this country is in a good place at the moment. TTOTD: You’ve touched on beating Holland and Argentina. Where do those games rank amongst your greatest achievements? Are they up there or is there something else? HR-W: I think for me personally, coming back from the injuries I’ve had were great achievements. However I’d have to say the bronze medal in London is the obvious answer. Not necessarily winning the medal itself but how we turned ourselves around as a group. One of the hardest parts is winning tournament hockey but I’m really proud of the whole journey and how we got there. We changed from being a team who made up the numbers to a side who went to tournaments expecting to do well. Being part of that change in mentality was really special and something I’m really proud of. TTOTD: As a player, what is your biggest strength? HR-W: <Laughs nervously> That’s a nightmare question for me. I hate talking about myself like that! I suppose I’m a player who always thinks we can win, no matter who we play or what the situation. I’m quite driven and demanding because I believe we’re good enough to overcome anyone. So probably my drive and ambition. TTOTD: Who is the best player you’ve played with or against? HR-W: The answer for both is probably Maartje Paumen. She’s better than she got credit for in the past. When she played left half for Holland people just saw her as someone they stuck out there and brought in for corners. When I went to Den Bosch I saw she was incredibly skilled and technically very good. She has that bit of oomph and that will to win, too. Now obviously she plays in in a different position for the Dutch she’s able to influence games and show her strengths a lot more. TTTOD: I ask pretty much every player I interview this, can you sum up why you love hockey? HR-W: It’s a sport that demands a lot of skill and fitness but you can get far using your brain. If you’re clever about how you play that can be a huge strength. It’s also a sport for everyone. You can play from being very young to very old and that’s really great. I’ve always gone down to the club with my brothers and got involved as a family and that’s why I fell in love with the game. TTOTD: Last question: Who is the better player, you or Kate? HR-W: <Laughs and looks at Kate> An honest answer is we’re very different players. I couldn’t do what she does and she can’t do what I do. You need those different players in the team so it works out quite well. With Richardson-Walsh’s fitness improving all the time post-injury, the upcoming World League Final out in Argentina could be the platform she uses to show the world she is well and truly back to her best. For now, though she is happy taking it one step at a time and to have preserved marital bliss with a truly diplomatic answer to the last question of this interview. The Top of the D would like to thank Helen Richardson-Walsh for her time, patience and good humour in conducting this interview. 1 Response to The Top of the D meets: Helen Richardson-Walsh. She’s done well for herself, has our Richardson-Walsh.